As a part of its initiative to offer global cuisines to Mumbaikars, Palms Hotel & Convention Centre (http://palmshotelandconventioncentremumbai.com/) had organized a 2-day International culinary event offering international exposure to study culinary art by world famous chefs. Four (-4-) finalist chefs from “Master Chef Australia 2014” will share their knowledge and demonstrate live cooking of signature recipes. 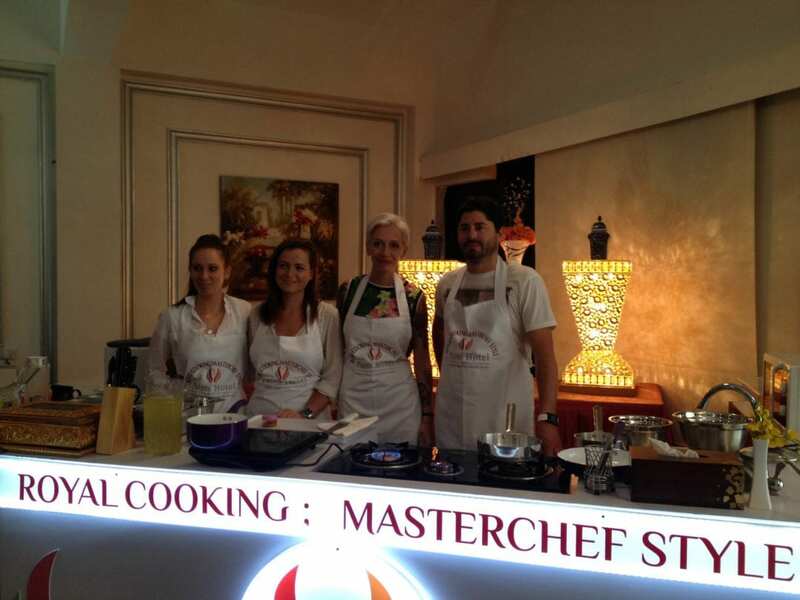 Their great cooking styles shall be on display in Australian, Italian, French in range of Veg and non-veg spread. The event – which is open to all for a fee – focuses on giving the guest an opportunity to experience delicious culinary wonders in live cooking demonstration. There are also Q& A sessions and interactive meets for knowledge sharing. Christened Royal Cooking; Master Chef’s style, the event was held for 2 days on 17th January 2015 & 18th January 2015 with 4 sessions on each day accommodating 500 participants per session and total of 2000 in a day. Individual sessions are divided into 2 hour slots and will start from 9 am onwards. Those interested can book for all the sessions over the 2 days or select any single session as per their convenience. All 4 chefs would be cooking for 4 times in their respective venue within the hotel on both days. with a different menu. Each chef cooked 1 menu in a session and repeated it for other 3 sessions as well on the same day. (17th Jan). Each chef cooked 1 different menu in a session and would repeat it for other 3 sessions on the second day (18th Jan). Each chef will have 1: Entree; Main course; dessert in their preparation menu for 17th Jan and 18th they have 1 different preparation menu. 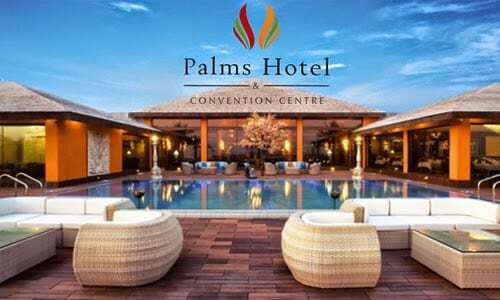 Palms Hotel & Convention Centre is a tranquil, relaxing and peaceful oasis right at Aarey Colony (Goregaon East) in the middle of the busting city of Mumbai. Nestled in the green belt of Mumbai, the hotel offers panoramic view of the flowered walkways and picturesque valleys. Laura says cooking is in her blood. Her early memories include sliding a chair up to the bench and standing on it to help mix the pasta dough with her mum and nonna. 19-year-old Laura says ‘Success would be to open an Italian style cafe or dessert bar near the beach in McLaren Vale.’ She would use only the best local produce to create dishes inspired by her Italian roots. IT consultant Ben Macdonald’s love of food and a penchant for globetrotting have delivered him to the MasterChef Australia kitchen. Ben’s ambition is to run a restaurant by the sea, combining modern European cuisine with the finest Australian produce. He dreams of inviting chefs from around the world to visit and cook with him. Renae Smith lives by these simple words: ”If it doesn’t make you happy then don’t do it.” Renae would love to open a unique cafe as well as a healthy cooking school for kids around Newtown and Redfern in Sydney, where they would be taught to cook a meal to take home to feed their family that night. Emelia – aka the Dessert Queen, famed for her panna cottas – was encouraged in the kitchen from an early age. It is Emelia’s dream to open a cafe called Jackson and Friends, with a menu based on family and friends’ favorite dishes. It wouldn’t be a surprise to see an online dessert buffet and catering business bearing her name. It’s in her five-year plan.